Darkest Dungeon‘s first true DLC expansion, the Crimson Court, takes everything that is already great about the game and amps it up even higher. If you already dislike some of the traits featured in this brutal roguelike, nothing about the Crimson Court is going to change your mind. 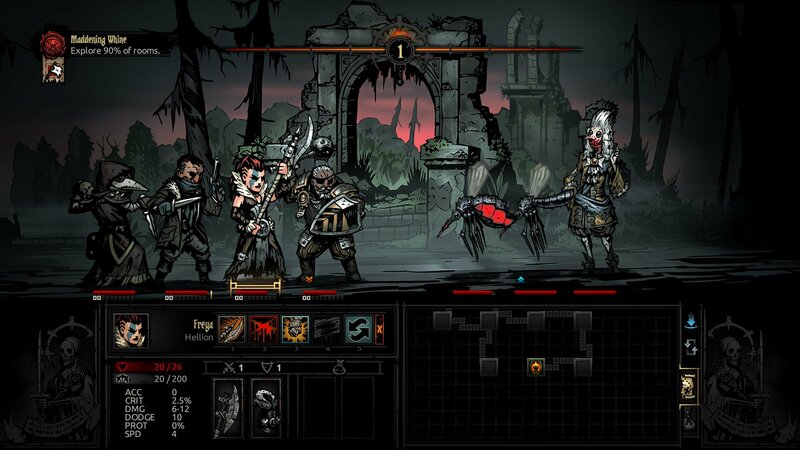 However, it adds a few must have additions to the base game, dramatically alters the required strategies, and has more than enough value to warrant a purchase and drag you back down beneath the cursed manor of Darkest Dungeon. 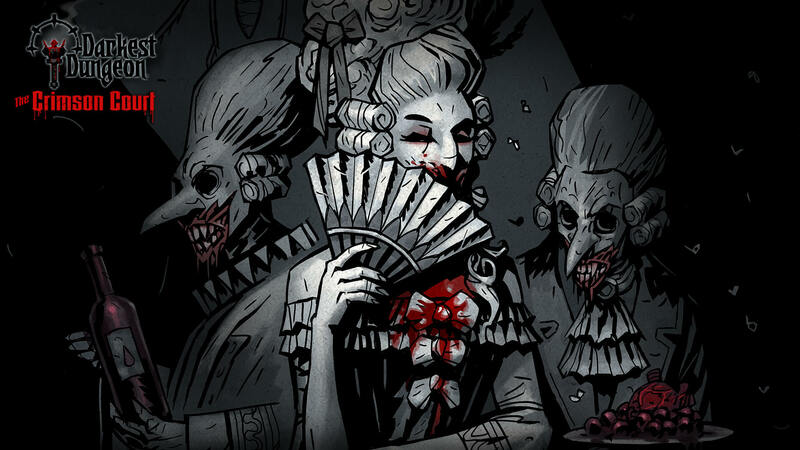 There are three main additions in the Crimson Court: a brand new class named the flagellant, new upgrades to the hamlet called districts, and the main upgrade: the titular “Crimson Court.” One surprising and excellent detail of the DLC is that each of these additions can be selected individually when starting a new game. If you want to eliminate the new class but play with the other two additions, all it takes is a click on a checkbox and you are set. This customization, coupled with the new modes released in the “Radiant Update” a few months back, make for a lot of interesting options when starting a new game. 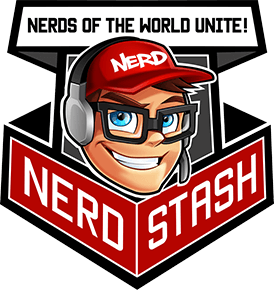 Let’s break down each of these major updates, so you know what you’re getting into if you pick this one up. 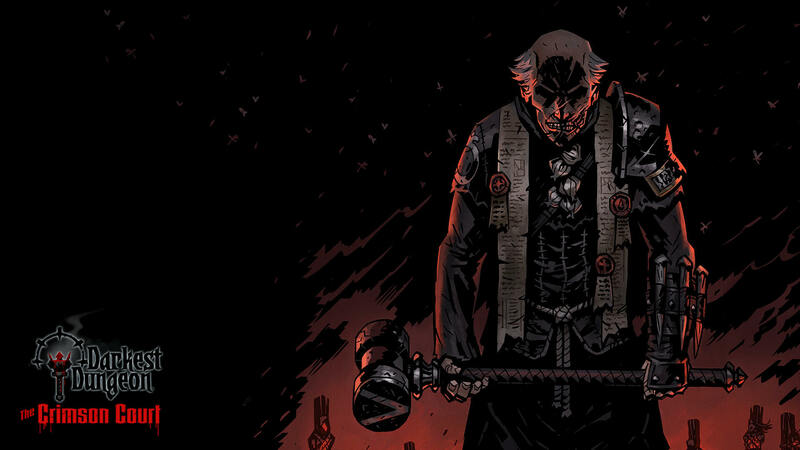 The flagellant, the new class, is a… less than stable individual wielding a multi-headed flail. He has cuts all over his exposed body, bleeding eyes (thankfully hidden under a covering), and a glowing red right hand. 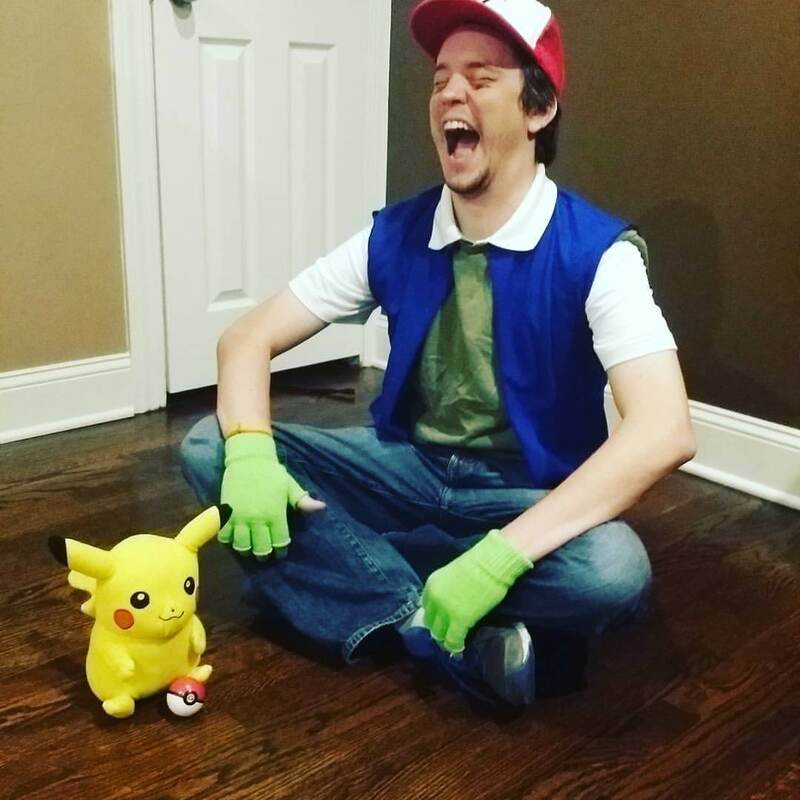 At first, he seems fairly weak – a few of his moves are hidden behind a “must be below 50 percent HP” prerequisite, and his attacks cause bleed but very little damage. Once you figure out his strategy, he becomes a formidable force and an absolute necessity against some bosses. 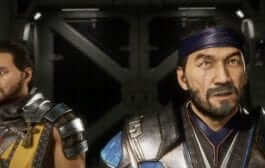 He has very high resistance to death’s door attacks, he can cure status effects on your other characters by transferring them to himself, and his aforementioned low health abilities are extremely powerful. The flagellant is a high risk, high reward character who is absolutely dripping with flavor, and I can barely imagine the game without the class after figuring him out. The districts are a small but important addition that helps dramatically as you approach the end game of Darkest Dungeon. These are extremely expensive (100s of heirlooms each) buildings that add permanent effects to your hamlet. One gives you 5% interest on your gold every time you enter a dungeon. One gives you two vials of “the blood” every time you enter a dungeon (we’ll talk about that shortly). And certain district buildings affect certain classes, giving them bonuses like damage or speed upgrades. 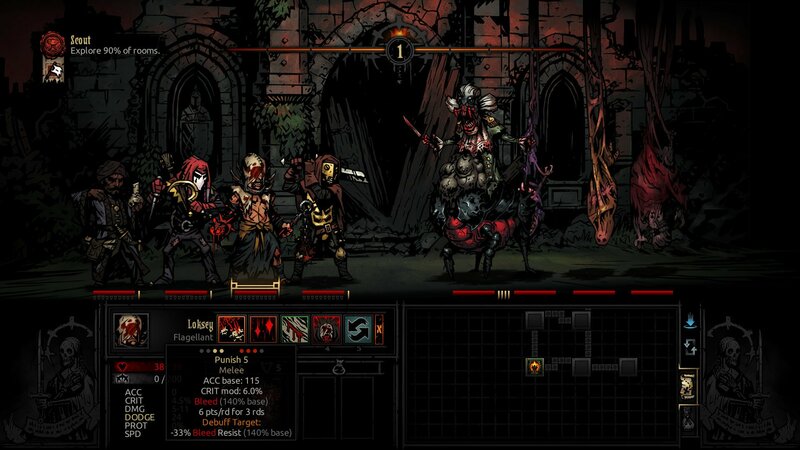 The end of Darkest Dungeon can be a terrible grind in a game already full of grind, so it is nice to have something that can improve your chances as you attempt to assault the final levels. The big addition in the new DLC is the Crimson Court, and it entails a few things. A few levels into the game, you will find an item called “the invitation.” This will let you enter a new area, called the courtyard, which houses all sorts of nasty enemies. The design of the new enemies are some of the best that Darkest Dungeon has to offer; they are a bizarre combination of foppish aristocrats and horrible insects. They are the source of a new disease that is, like many of Darkest Dungeon’s most ingenious features, a source of some of its best and worst moments. The Crimson Curse is a vampiric disease that is incurable except in very specific circumstances. Characters suffer debuffs the longer they have it without drinking “the blood,” a new random item drop. They have to drink it even in town, and they can transfer the curse to uninfected heroes as well, even when not on dungeon quests. Do not expect to succeed in your first run through the Crimson Court – even on Radiant mode, I needed a few restarts to fully understand how everything worked. Your cursed characters will randomly die in town if they do not have enough blood to drink, so the beginning of the new DLC can be extremely brutal and unforgiving in a game that has made its name in being brutal and unforgiving. Don’t be afraid to dismiss your cursed heroes if they start to get out of hand, or you may find you do not have a party to work with at all. With the Crimson Court add-on comes a few other additions: a new wandering boss and trinket sets (which give you a bonus if you have both equipped). The wandering boss, called the fanatic, has a hatred for those infected with the curse. He hunts your party down if you have cursed members, and provides a few nasty surprises when he finds you. The trinkets are a great new addition and give you some new strategies to work for with each class. Verdict: Darkest Dungeon: The Crimson Court makes the game even better by playing to its strengths. It is more brutal, more interesting, and more rewarding than ever. 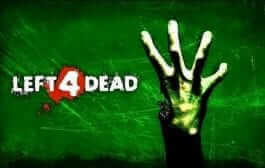 The beginning is much more difficult than before, and developer Red Hook Studios is still trying to balance out things like how often blood drops and how often characters are infected by the curse. Darkest Dungeon is one of the best examples of Steam’s Early Access program working and helping to improve a game. 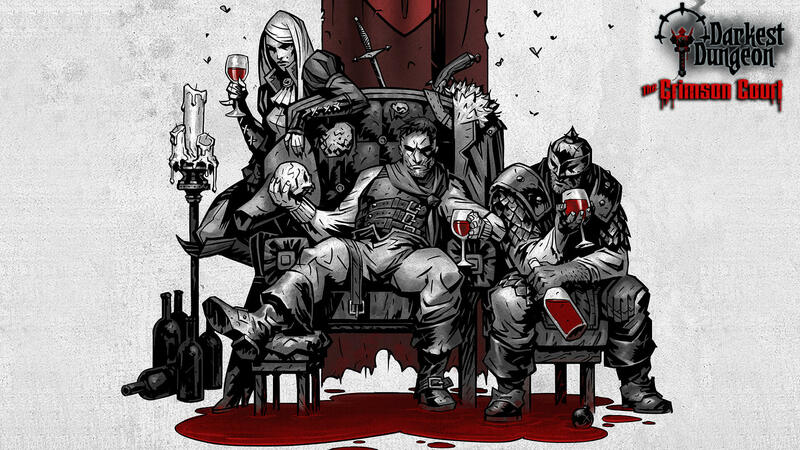 If you already like Darkest Dungeon, the Crimson Court is a great way to dive back in and get sucked in all over again. Darkest Dungeon: The Crimson Court is DLC for the strategy-RPG developed and produced by Red Hook Studios. What do we know about potential Game of Thrones spin-offs?